Mr. Champion adds to his obscure historical works with this biography of Antigonus the greatest of the Diadochi or successors. 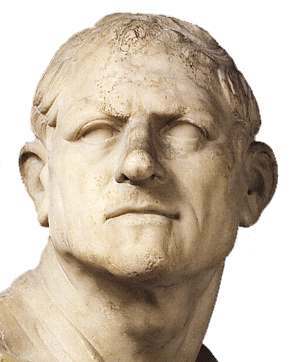 His other works include 'The Tyrants of Syracuse' volumes I and II, and a biography of Pyrrhus. These two works have shed a large and new light on the history of the people and eras that they represent. It is far time that we have a biography of one of the greatest men of Hellenistic society. Antigonus was not one of the new men that grew to power underneath Alexander; indeed at his death he was already sixty years old. Antigonus was like Antipater, a general from Alexander's father, Phillip the second's time. When he was born, Macedon was a backwater and considered to be at the fringe of the Greek world, if the Greeks believed it belonged in their world at all. Between the various barbarian tribes surrounding Macedon, and the constant death and murder of her kings, Macedon was like a leaf in a whirlpool. No one would have believed in 380 B.C. that within sixty years this small country would have conquered almost the entire eastern portion of the known world and brought the mighty Persian empire to its knees. Antigonus himself was an imposing man for this era. A large man over six feet tall and built solidly, he was able to overawe people by his presence. He was cruel at times, but also had a sense of humor. He had lost the sight in one eye and sometimes referred to himself as a cyclops. Once when getting a dispatch from a subordinate that was printed in large letters, he declared "that even a blind man could read this". Like many great generals, he had the common touch with his soldiers. He was one of the few ancient generals who were able to win battles after they were seemingly lost. Unfortunately, we have no statues or anything to show us what he looked like, so I added pictures of his son and two of his inveterate enemies. Like many of the elder generation of Macedonians, we really know nothing about Antigonus' family or their place in his society. Some stories have him being a son of a simple farmer. As the author shows, that would have been highly unlikely. 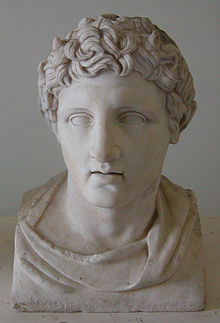 He would have had to be born into one of Macedon's leading aristocratic families. Exactly when and where is hidden in the depths of that era's history. Antigonus was put into the position of satrap (governor) of Phrygia by Alexander. The satraps promoted by Alexander were sometimes given territories that the Macedonian army never went near. So the newly appointed satrap would have to conquer or at least subdue the indigenous populations. After Alexanders death in 323 B.C. Antigonus was just one of many satraps. In addition, his satrap of Phrygia was nowhere near any of the different sources of power at that time. His rise from this backwater to almost becoming the king of the entire Macedonian empire is detailed by the author. The author has had to piece together the life of Antigonus from the many scraps that we are left from the ancient historians. Unfortunately, the ancient authors jumped about like a cat being teased with a laser. Their accounts of different years hop around the ancient world from year to year without really following a clear path through any kingdom or person's life. Mr. Champion is to be congratulated for his detective work in bringing the lives he has to our attention, and hopefully prodded to bring more out of the dustbin. 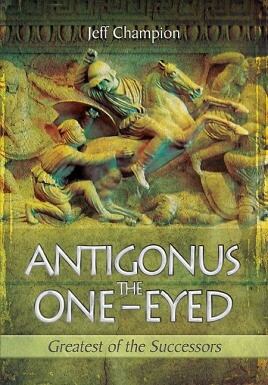 Antigonus' many battles and wars are shown to us, as is his ultimate failure and defeat in old age at Ipsus in 301 B.C. His son Demetrius poliocretes (the besieger) life is also a tale of rise and final ruin, however Demetrius' life was more of a roller coaster ride than his fathers. The Antigonid kingdom at its greatest extent encompassed the entire Asian conquests of Alexander, and some additions that were conquered by the Macedonians after his death. The Antigonids went on to rule Macedon and some of Greece after the fall of Antigonus at Ipsus. Macedon saw many rulers in a few short decades. One of them was Demetrius, son of Antigonus. His grandson, also named Antigonus, became ruler after that; the Macedonian kingdom was ruled by the Antigonids until its fall in 168 B.C. 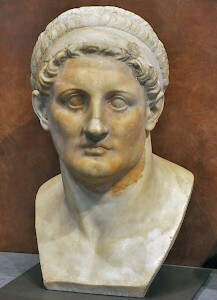 The Antigonids as a family were very different from the Ptolemies and Seleucids. There was no patricide or filicide in the Antigonids for over a hundred years. The other Hellenistic kingdoms' families were lucky to go a generation without it happening. Antigonus' rise to power and eventual loss of his life and kingdom at Ipsus was used by the ancient writers as a prime example of hubris, which is unfortunate because all great conquerors have had the need to possess and reach for more than they have. I wonder if Mr. Champion is working on the biography of Demetrius next?